Information Security – How Much is Enough? Any organization that is developing or managing an information security program will inevitably face the question – how much is enough? Am I more secure than I was last year? How much should I be spending on security? Now some of you are probably already thinking, shouldn’t an effective Risk Management program give me these answers? The answer is yes and no. Risk Management is critical to the maturation of any security program, and is an effective tool for determining the deficiencies – and thus priorities – of the organization. It can even provide, relatively speaking, a measure of each weakness as a function of the organization’s risk tolerance. It provides clear direction and prioritization for security efforts based on a deterministic system of measuring threats, vulnerabilities and controls. What it doesn’t provide is a tactical view of performance against those risks. Where Risk Management is the car, security metrics are the car’s navigation system. Risk Management provides a steering wheel for setting direction, and gas for setting urgency. 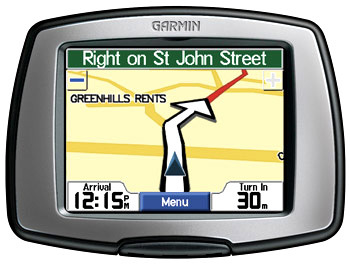 The navigation system will tell you how long it’s taking you to get where you’re going, and compare that to how long it should have taken you. These metrics are important in answering the questions above, but are also helpful in measuring overall security performance. Determining an appropriate set of security metrics isn’t as easy as it sounds. Charting out the number of blocked port scans at your edge is pretty much worthless these days, as is the percentage of spam e-mail. Unfortunately these are the numbers that are readily available. To develop a measurement system that will be useful, you need to build metrics to address two audiences; 1. You. 2. Your CEO. The first set is important because as they say, you can’t manage what you can’t measure. Having a set of metrics that makes your life easier will save you time and provide the evidence you need to support your critical initiatives. It will also help with daily operations, like forensics, tuning and monitoring. The second set is important because at some point, your CEO is going to ask you the aforementioned questions. The better you can answer them, the more likely your budget will be approved. Risk Assessment Coverage – How many of my assets (people, documents, facilities, applications, networks, etc.) have been evaluated by Risk Management within the past 6 months? Past 12 months? Percent of Changes with Security Review – How many of the configuration changes in my environment have been reviewed by Information Security personnel? Of those changes that weren’t reviewed, how many resulted in downstream rework or were the root cause of security violations? Mean-Time to Incident Discovery (or Recovery) – Of the organizational incidents classified as security incidents, how many did we discover (versus our customers, partners or other third-parties) and how long did it take? Secondly, how long did it take to recover from critical incidents? Patch Policy Compliance – How often are we violating our patch policy for critical security patches? Percentage of Trained Employees – How many of our employees have received effective Security Awareness Training? Of the personnel that have not received training, what is the percentage that have been involved in avoidable security incidents? The above metrics go far beyond a typical firewall report, which does more to describe active threats than actual performance. Once you start trending these over time, you start to get a much deeper sense of true security maturity, rather than just raw data. You’ll also get a sense of progress, one way or the other. Someone once said that if you don’t know where you’re going, you can’t get lost. That strategy is perfectly fine for the retired, vacationers and Jamaicans, but if you’ve got somewhere to be you need a plan.